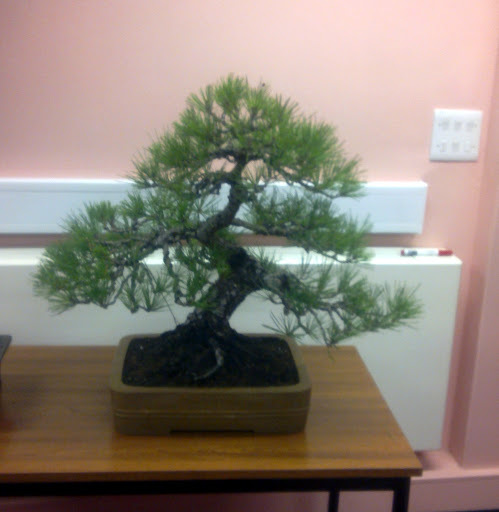 Tonight’s meeting was all about Pines. 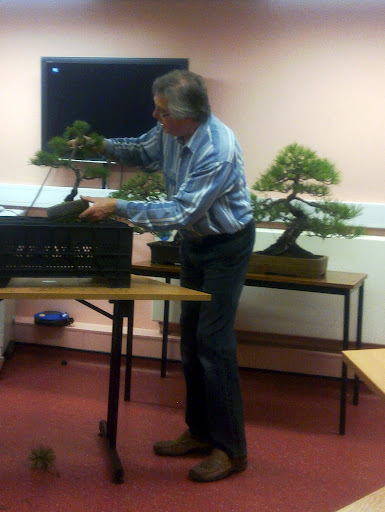 Malcolm Hughes, our guest speaker brought along some superb examples of Pine Bonsai to demonstrate the characteristics of the various species (Japanese White Pine, Japanese Black Pine and Scots pine) and their requirement in bonsai cultivation. 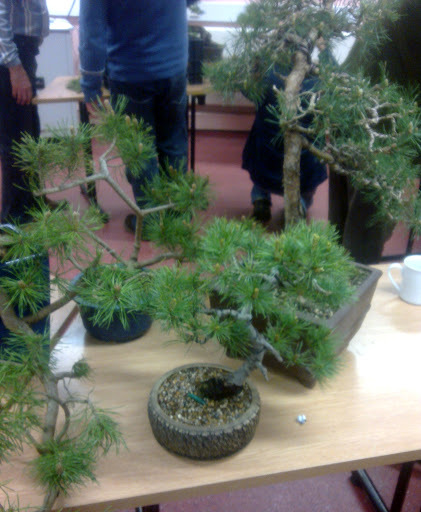 The Talk was light hearted and covered everything from soil requirements and watering and feeding regimes to candle pinching and preparation for show. 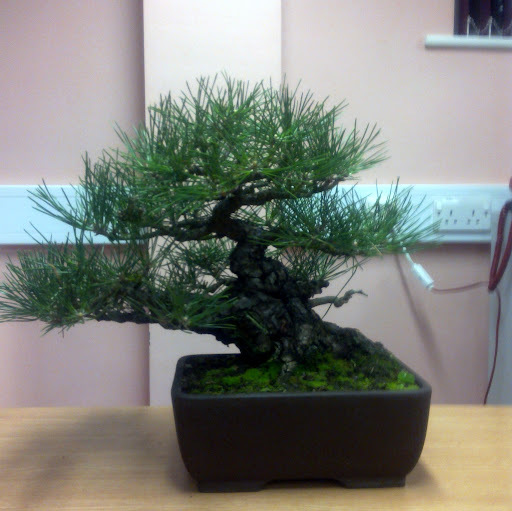 This was followed by a critique and styling suggestions for the trees the members brought along to the meeting. 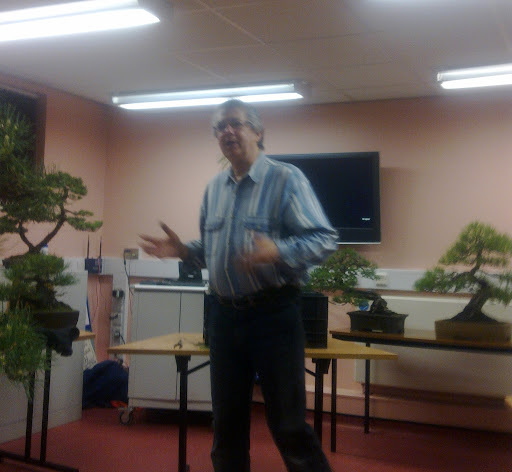 Our thanks to Malcolm for another superb presentation (he seems to be becoming a regular guest speaker). 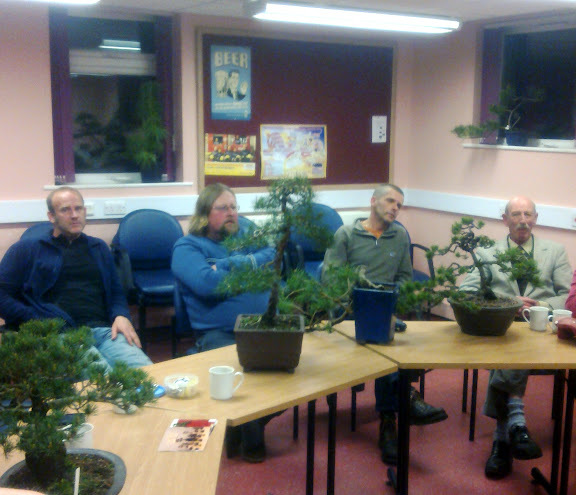 Here are some picture from the meeting. My apologies for the quality (forgot the camera and had to use the phone instead).